I remember vividly the first time I had to put on deodorant. I remember the conversation that went on between my mom and me. How I didn't think it was weird but cool that I could start using deodorant and my sister couldn't. Oh the memories. I also remember what brand of deodorant I used, Lady Speedstick. It's funny because not only did I use this brand of deodorant through out elementary, junior high and high school, but so did a lot of my girlfriends. It was the deodorant to have. 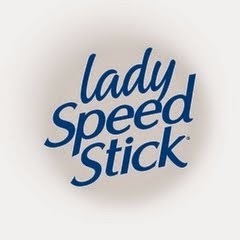 Lady Speedstick was a brand that was not only affordable, but it seriously got the job done. It makes me wonder over the years why I stopped using it. It wasn't until I had the opportunity to review both their Lady Speedstick Power regular and gel deodorant that I was questioning why I stopped. I've been raving about it to my husband who then asked me why I don't buy it anymore. I didn't have an answer for him because I didn't know myself. This is definitely going to change. I loved using both the regular and gel deodorants. Both smell incredible and are last long. Luckily I have these two deodorants that will last me a bit, but I sure know what I'm getting once I run out. Now, I've used gel deodorants before, to me they're perfect to use when you're wearing a sleeveless top or dress. It leaves no marks so you don't have to worry about being embarrassed wondering if your deodorant is showing on your clothes. Don't you hate when that happens? I found it best to put the gel deodorant on after I had put on my dress or tops with no sleeves because normally I put deodorant on before I put my clothes on. This worked great for me. It also helps to know that a little goes a long way. You don't want to put too much on to where it's making you uncomfortable. Find what works for you. Whether it's an embarrassing moment or that you jog or take walks in the morning, we want to hear about it. Good luck to all of you and may the odds be ever in your favor! Disclosure: All opinions are my own. The products mentioned above have been given as part of a sponsored post through our ad network, SheBlogsMedia, for Lady Speedstick.